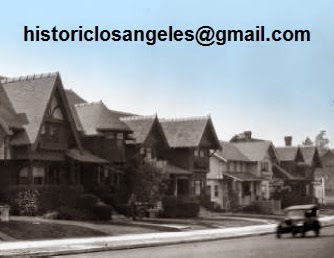 The Ye Planry Building Company was begun in 1905 by clever men who persuaded local contractors to contribute their designs to what became annual catalogs of stock architectural plans, an innovation perfectly timed to take advantage of the exponentially growing need for middle-class housing across Southern California. The Ye Planry Bungalow Books have been credited with igniting what became a Craftsman craze throughout the huge developing swaths of Los Angeles's southern reaches and throughout the San Fernando Valley. Before long, the company opened its own building department; the quality of its generally modest projects soon became known among the affluent, who found Ye Planry's larger houses to their liking. 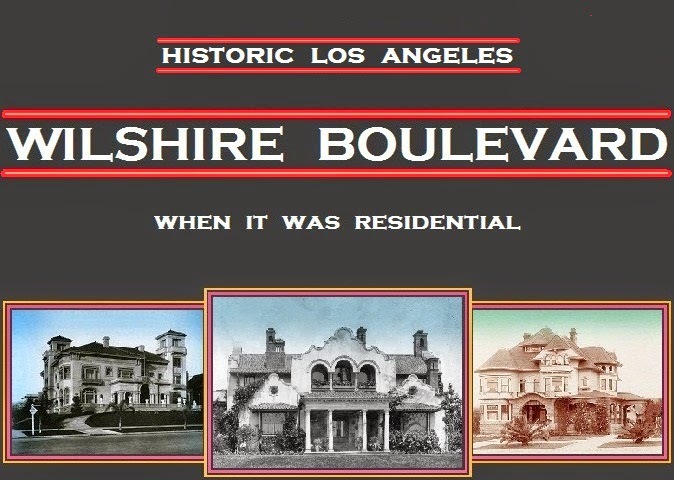 As the Wilshire District expanded west, many of these bigger dwellings rose in its new subdivisions, including along the boulevard itself. A pretty foursquare American Colonial design, one that bucked the trend of gabled and porch-oriented Craftsmans, appealed to Grace Dewar Robinson, wife of Malcolm Cameron Robinson, for their Lot 9 in the Norton Place tract between Wilton Place and Norton Avenue. On June 23, 1911, the Department of Buildings issued Grace a permit to begin construction. Over the years, the Robinsons would move back and forth between Los Angeles and Coronado, where his father, Charles Wesley Robinson Jr., had been involved with the construction and management of the famous Hotel del Coronado; the couple did not stay at 4040 for long, selling it to Adele Ball Vickrey in August 1915. 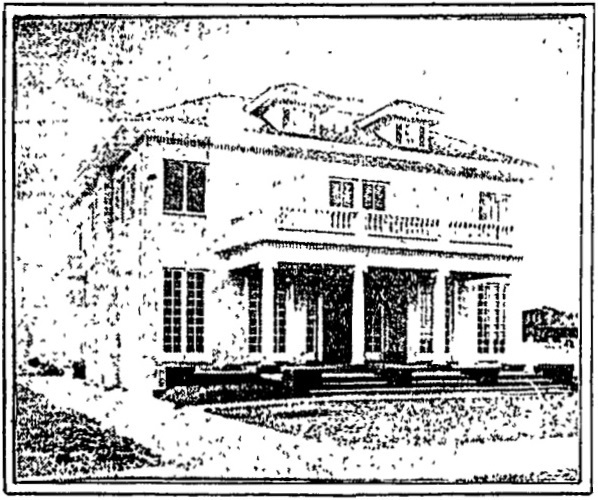 On June 23, 1917, the Herald reported that the house had been sold by Adele M. Ball—she was recently divorced from real estate man Brenton L. Vickrey—to automobile man Woods R. Woolwine, who remained until his death in 1934. Business and professional uses followed; its porch and character were stripped off in a 1954 remodeling, although this, along with the neighborhood's historically patchy development both residentially and commercially, helped to extend the house's life for another 16 years. The Department of Building and Safety issued a demolition permit for 4040 Wilshire on December 2, 1970. The Wilshire Medical Center replaced 4036 Wilshire next door to 4040 in 1948; the Robinson-Woolwine house was included in an architect's rendering of the new building.